Steven D. Zimmerman, CPA, MBA is the Principal of Spectrum Nonprofit Services where he provides training and consulting in the areas of finance and strategy for community-based organizations, foundations and government agencies throughout the country. Steve is co-author of the book The Sustainability Mindset: Using the Matrix Map to Make Strategic Decisions published by Jossey-Bass with Jeanne Bell of CompassPoint. They also co-wrote Nonprofit Sustainability: Making Strategic Decisions for Financial Viability with Jan Masaoka of Blue Avocado in 2010. The books highlight Spectrum’s integrated approach to nonprofits which balances mission impact and financial viability. Steve also writes the Finance and Strategy column for Blue Avocado, an online magazine for nonprofits with 60,000 subscribers, and has also written for The Nonprofit Quarterly and Board Source. Prior to starting Spectrum, Steve was a Projects Director with CompassPoint Nonprofit Services, one of the nation’s leading nonprofit consulting, training and research providers where he led development of their business planning framework, wrote and delivered training’s and consulted on management issues with a wide range of organizations. Steve’s extensive nonprofit experience includes serving as a Chief Financial Officer, Development Director and Associate Director at community-based nonprofits where he performed turnarounds resulting in increased financial sustainability and programmatic reach. He is a Certified Public Accountant and earned a BA from Claremont McKenna College and an MBA from Yale University. Bruce Decker is the owner of Collective Impact, LLC, a capacity building consulting firm with a focus on helping organizations and communities achieve their mission, realize their vision, and thrive! Since 2001, Collective Impact has worked with a broad range of clients from a variety of disciplines in numerous states. Bruce has demonstrated expertise in organizational and community capacity building, system analysis and improvement, family support, service coordination and integration, and cross-system networking and collaboration. He received his MA in Communication Studies and Leadership and BA in Education and Diversified Cooperative Training with a focus on Entrepreneurship from Marshall University. Tricia Kingery, M.A., M.B.A., is the president and founder of Kingery & Company, LLC, a consulting firm celebrating 10 years of helping nonprofits do great work — work that empowers people, develops organizations and strengthens communities. In other words, helping ‘do-gooders’ do great things! As a result, Kingery & Company has become the go-to consulting firm for nonprofits that need strategic planning, community needs assessments, board development, fundraising, public relations and marketing. Every day, the Kingery team uses experience, skills and heart to fuel the mission of clients like CAMC, Coalfield Development, United Way, W KIDS COUNT, WV211, WV Non Profit Association, Health Departments and Community Action Agencies, to name a few. With a M.B.A. from WVU, a Master’s in Counseling and Rehabilitation and Bachelor’s in Psychology from MU, education is at the heart of everything she does. Tricia enjoys mentoring young people, collecting children’s books and traveling. She and her husband live in Charleston, WV with their daughter Alexandra. Tammy Baker is an HR professional with over 20 years of experience in the field. 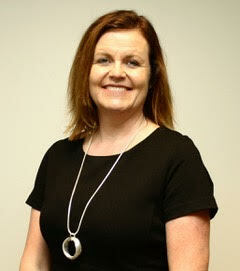 She has worked in human resources her entire career in a variety of different industries. She has focused on compensation, employee relations and benefits administration. She holds a Bachelor’s degree from WVU in Business Administration and a Master’s degree in Industrial and Labor Relations. She currently resides in Hurricane WV with her husband and two daughters. 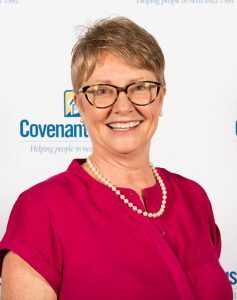 Ellen Allen is the Executive Director of Covenant House. She previously served as Director of the YWCA Resolve Program in Charleston and Director of the Family Refuge Center in Lewisburg. Her career in advocacy spans over 30 years where she advanced equal opportunities for girls to participate in sports, equal access in schools for visually impaired and blind students, supported legislation to end violence against women and girls, raised money for research for multiple sclerosis, advanced LGBT equality, and reproductive freedom and health. Ellen is a housing advocate whose organization advances rights for the homeless, working poor and people living with HIV/AIDS. She has served on the WV Human Rights Commission and the WV Women’s Commission. 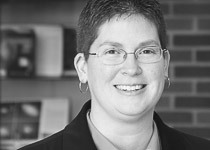 Ellen is a graduate of Concord College with a MBA from Averett University. A native of West Virginia, Jennifer Susman returned to her home state to launch 84 Agency with Carling McManus after the two met while completing their Masters of Fine Art from San Francisco Art Institute. Jennifer combines her creative, problem-solving skills with her unique understanding of the Mountain State to help organizations craft creative and thoughtful solutions to problems. 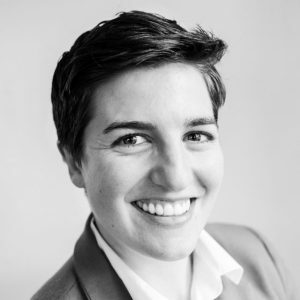 As the co-founder of 84 Agency, Carling McManus has extensive experience bringing her artistic background to creating viral content, developing campaigns, managing social media presences, producing video and design materials, and offering communications and public relations consulting to a variety of social justice nonprofits working throughout the state. Anna Patrick is a longtime resident of the Mountain State and a former reporter for the Charleston Gazette-Mail. 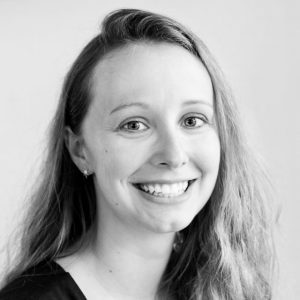 Now as a member of 84 Agency, she combines her reporting skills and sense of detail to help organizations craft authentic and impactful stories and campaigns. 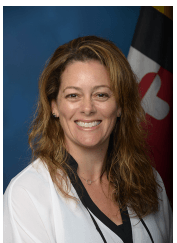 An enthusiastic leader who recognizes potential in partnerships and growth through innovative ideas, Nicki Fiocco is currently the Director of Volunteer Maryland where she supervises Staff and AmeriCorps Members in a State/National AmeriCorps program. Prior to serving as director, Nicki was the Program Manager for the program and actively supervised and monitored 30 AmeriCorps Members who served as Volunteer Coordinators at sites across Maryland. Nicki had the pleasure of serving in Governor Hogan’s office of Constituent Services as Assistant Supervisor and served as an AmeriCorps Member in 2012. Nicki holds a BA in Geography and Environmental Studies from the University of Maryland Baltimore County. As an avid podcast listener, Nicki is a life long learner and thrives on new ideas and creating systems to generate measurable outcomes. Nicki has two speeds, a million miles and hour or asleep! Originally from San Diego California, Nicki is happy to call Maryland home for the past twelve years. Jeremy Turner is the Founder and Managing Director of EPIC Mission, a coaching and consulting firm for entrepreneurs, nonprofits and small businesses. He holds a BA in Psychology from Marshall University and is currently pursuing an MBA with a focus on Entrepreneurship and Family Enterprise. Jeremy has served in leadership roles for industry giants and grassroots startups within the for-profit and nonprofit sectors and has served on over a dozen nonprofit boards, including his current role on the advisory board with Ten50, the business accelerator at RCBI. Mr. Turner is a DISC-Certified Behavioral Coach and Consultant and a Certified Coach with Ministry Ventures, an organization providing resources and coaching support to churches, ministries and ministry-based nonprofits. 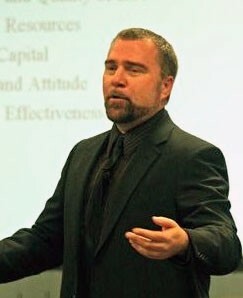 Jeremy is a sought after coach, consultant, speaker and trainer for topics including board development, communication, entrepreneurship, leadership development, organizational development, succession planning and strategic planning, and for the last two years he has served as a Business Coach for the West Virginia Governor’s School of Entrepreneurship. 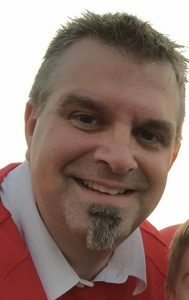 Jeremy has returned home to West Virginia after nearly 20 years in North Carolina, living in Huntington with his wife Brandie and their two dogs and two cats. Valerie Ellis is the Managing Director of Gibbons & Kawash, A.C., a Charleston-based regional accounting and consulting firm with a team of approximately 35 professionals. 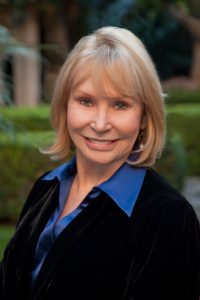 Valerie’s experience during the last 30 years includes service to hundreds of nonprofit organizations, including charitable foundations, health and welfare organizations, colleges and universities, behavioral healthcare associations, and churches and other religious organizations. Her in-depth industry knowledge includes such areas as internal control and operational matters, considerations of issues affecting tax exempt status, unrelated business taxable income, and compensation and employee benefit plan issues. Sonia G. Pandit, MPH, MBA, is the CEO of The Pandit Group, a consulting firm that specializes in maximizing the efficiency and effectiveness of nonprofits and government. With clients ranging from Catholic Charities of Baltimore to the Maryland Department of Health and Mental Hygiene to the World Health Organization, she has extensive experience with strategic planning, data management, impact assessments, process improvement, and research studies. 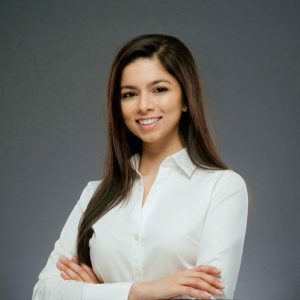 Ms. Pandit is a graduate of Yale University, Johns Hopkins Bloomberg School of Public Health, and MIT Sloan School of Management. Christopher “Chris” Kimes is the Government Relations Director for the Healthy Kids and Families Coalition. As government relations director, Chris works with the Our Children, Our Future: Campaign to End Child Poverty issue teams in advancing their legislative priorities with the WV Legislature. Additionally, Chris also works throughout the state in engaging youth and young adults in their communities and with the campaign. 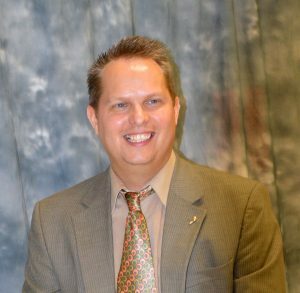 Prior to his current position, Chris served as the Director of the West Virginia Statewide Afterschool Network. In that role, Chris worked to ensure that youth receive quality afterschool experiences and helped to educate policy makers on the importance that afterschool plays within a child’s development and community. As a former nonprofit Executive Director and Development Director, Susan Koehler understands the complexities and joys of nonprofits. Prior to founding 501(C)onsultingSolutions, Susan was ED of a children’s cancer charity. Susan helped another non-profit obtain its first $1-million gift and was on the team that turned around a $21-million non-profit after a financial scandal. She is a Board Source Certified Governance Trainer and serves on the prestigious AIM for Excellence Award Selection Committee (Washington Post Award for Excellence in Nonprofit Management). Susan is passionate about sharing her knowledge and is known for bringing a sense of fun to her workshops. Elizabeth Pellegrin is Chief Marketing Officer at CAMC. With 15 years in this role built on top of a successful career at the region’s largest advertising agency, Elizabeth is not only known as the “guru of marketing” in West Virginia, she is a seasoned crisis communications specialist in her role as company spokesperson. She is on the front end promoting quality healthcare services and, at the same time, on the back end managing crisis communications. Elizabeth was recently awarded the 2017 YWCA Charleston’s Women of Achievement Award. Ron Bailey, founder of ReFocus Projects, helps creative entrepreneurs, business and non-profits leaders, and community-centered teams rediscover and refine their focus, navigate their environment, and execute their strategy. He developed a project-based framework that incorporates methodologies and tools from human-centered design and systems thinking to enable clients to create innovative, creative, and sustainable solutions and strategies. 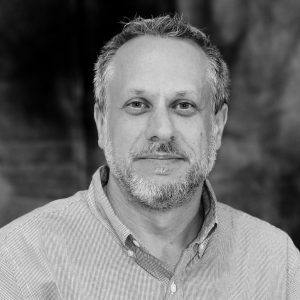 Ron has over 25 years of professional experience in business, design, technology, media, arts and culture, and nonprofit leadership. Aaron Gooden is a Senior Consultant at Kingery & Company, LLC, a consulting firm celebrating 10 years of helping nonprofits do great work — work that empowers people, develops organizations and strengthens communities. In other words, helping ‘do-gooders’ do great things! As a result, Kingery & Company has become the go-to consulting firm for nonprofits that need strategic planning, community needs assessments, board development, fundraising, public relations and marketing. Aaron brings 20 plus years of nonprofit management experience to the Kingery & Company team where he lives out his passion of helping organizations engage with their communities to have greater impact. His previous work at the West Virginia Council of Churches consisted of spearheading substance abuse awareness and action among all denominations. In this role, he conducted research on substance abuse issues by facilitating listening sessions throughout the state. The feedback resulted in a call-to-action for churches to take a leadership role in being part of the drug epidemic solution. Honing in on his skills as a videographer, Aaron produced a video that tells ‘West Virginia’s substance abuse story’ in a way that’s never been told before – a relatable story that compels the viewer to become part of the solution rather than criticizing the problem. In addition, Aaron has years of experience providing training on Leadership Development, Teamwork, and Marketing, with an expertise in storytelling. Aaron spent 20 years as a senior pastor in the United Methodist Church where he developed a relational leadership style and love of growing organizations and connecting communities. In his spare time, Aaron enjoys creating and making things and admits to being a technology nerd. He is a musician, photographer, videographer, and public speaker. 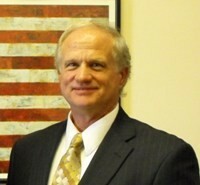 Dr. Bob Whitmore, D. Ed., MBA is a Senior Management Consult and Subject Matter Expert for Strategic Consulting Partners. 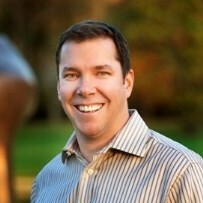 Bob is an experienced organizational leader and business coach. He currently serves as an organizational development consultant and trainer on numerous active projects for Strategic Consulting Partners. He is a Certified Higher Ground Leadership Coach and a Licensed Consultant with Standards of Excellence Program with both Pennsylvania and Maryland Nonprofit Associations. Bob created and lead a private, non-profit organization for 34 years serving multiple counties in Pennsylvania and West Virginia. He provided oversight for program development, 240 staff and a $12 million budget. Bob has also served as a Township Supervisor in Antrim Township (Franklin County) for 16 years and currently works with a public private partnership in Mercersburg, PA to build walking and biking trails and restore a community stream. Bob has provided leadership programs, strategic planning, teambuilding and coaching services for various nonprofit and for-profit organizations. Jeanette Wojcik served as the Executive Director of Faith in Action Caregivers, Inc. from 1995 until her retirement in 2016. With an extensive career in volunteer recruitment, training and management, she served as mentor to Faith in Action programs in West Virginia, Ohio and Western Pennsylvania and played a key role in the establishment of the National Volunteer Caregiving Network. She currently serves on the Advisory Board for the WVNPA. Jeanette holds a bachelor’s degree from West Liberty University and a master’s degree from West Virginia University. 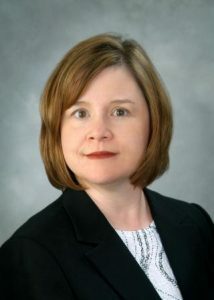 Rebekah D. Mathis-Stump is Chief Operating Officer at Ethos Leadership Group, LLC in Parkersburg, WV. An analyst and solution-generator by nature, Becky works with clients to identify their needs and develop a plan of action to reach their desired results. 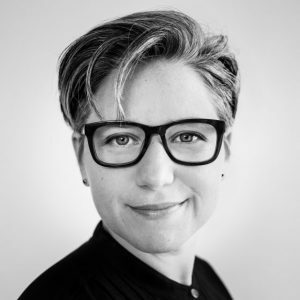 Having worked in numerous disciplines in her career, Becky is a generalist who brings a broad range of knowledge and experience to her clients. Becky particularly enjoys working with clients on organizational audits, strategic planning, employee training, and governance. She is a former assistant to the president and legal counsel at Ohio Valley University. Becky has been honored by Ohio Valley University as Young Alumnus of the Year and earned a life membership in The Order of the Barristers—a national honor society recognizing excellence in oral advocacy. 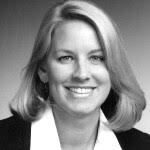 Becky is an administrative law judge for the City of Parkersburg, WV, and a member of the West Virginia State Bar.